Looking to spoil someone you love with something extra special? 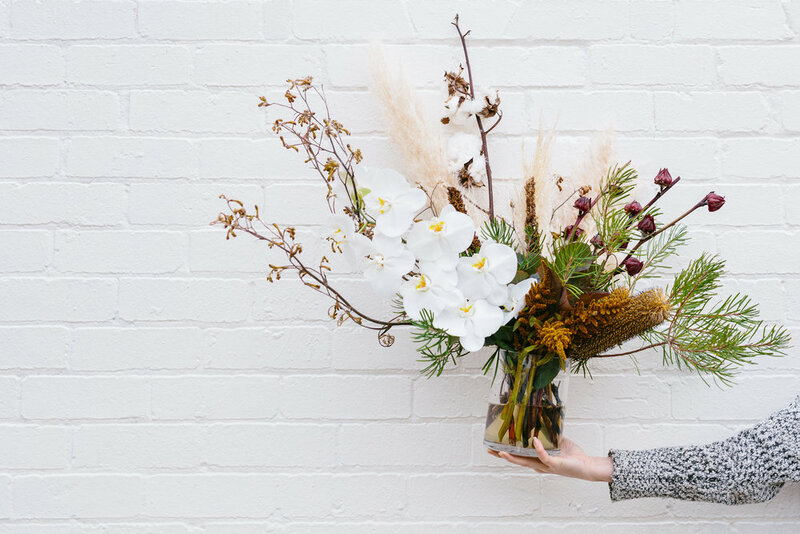 We create luxe, textured arrangements and personalised bouquets for delivery to inner Melbourne suburbs from Tuesday to Friday. You can place an order for a luxe flower delivery via our online order form here. Custom orders start from $150. Please note, our team requires a minimum of 48 hours notice to create your custom bouquet. We make every effort to create arrangements in your preferred colours, but sometimes Mother Nature has other ideas! We can't always make guarantees due to seasonal availability and markets, but please trust our head florist Kate to create something spectacular if your first choice is not available.